Shout Out ads are a fun way to let kids know you and the family are so proud of them. 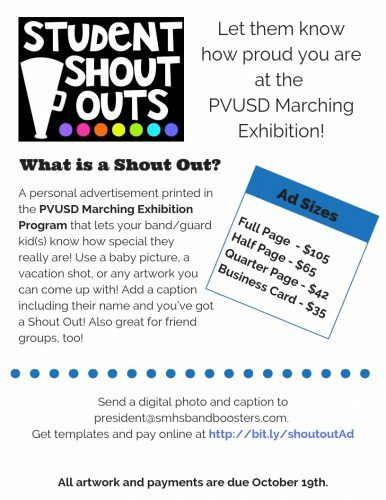 Whether it’s their first year in band/guard or graduation is on the horizon, why not buy a Shout Out ad. These are great for friend groups or sections, too! Click to purchase your ad.